En 1887 cerca de 350 arcillas las tabletas fueron encontradas en El Amarna, el sitio de Akhetatón capital de Akhenatón. La mayoría de éstos ahora están en los museos europeos (200 en Berlín, 80 en el museo británico y veinte en Oxford). Se escriben en caracteres cuneiformes en la lengua diplomática del día, Akkadian. La mayoría de las letras se fechan a los reinados de Amenhotep III (1402-1364) y Akhenatn (Amenhotep IV, 1350-1334). Reflejan la correspondencia animada entre la administración egipcia y sus representantes en Canaan y Amurru y el estado de asuntos internacionales entre Egipto y las energías principales de el Oriente Medio, de Babylonia, de Mitanni y de Assyria, y de los pocos países tales como Arzawa en Anatolia occidental. Cinco tabletas cuneiformes fueron encontradas el nombrar de Tushratta, de un rey de Mitanni que era suegro a Amenhotep III y Akhenaten, otros cinco del rey babilónico Kadashman-Enlil y algunas letras que mencionaban por nombre al rey de Kassite de Babylonia Burnaburiash, y del rey de Arzawa. Los reyes de los paises importantes hablaron con el faraón de igual a igual , llamándolo hermano y casando a menudo una princesa con él. Los faraones por otra parte nunca consideraron a reyes extranjeros como sus iguales: no se dio en esta éoca ninguna princesa egipcia a un príncipe extranjero. Petrie located the building in which the tablets were found and finally uncovered some further tablets. Los reyes de las ciudades cananeas y sirias bajo dominio egipcio se postran ante el faraón - siete veces y siete veces, de rodillas . y ahora un Dunip, su ciudad llora, y ella los rasgones está funcionando, y no hay ayuda para nosotros. Por 20 años hemos estado enviando a nuestro señor, el rey, el rey de Egipto, pero no ha venido a nosotros una palabra de nuestro señor, no uno. The Amarna Letters -- Amenhotep III, Akhenaten, Smenkhkare, Tutankhamun, and Ay. 1992 The Amarna Letters. Maryland: The Johns Hopkins University Press. Cohen, R. & Westbrook, R.
A brief introduction to the ancient Near East as represented in the Amarna letters. 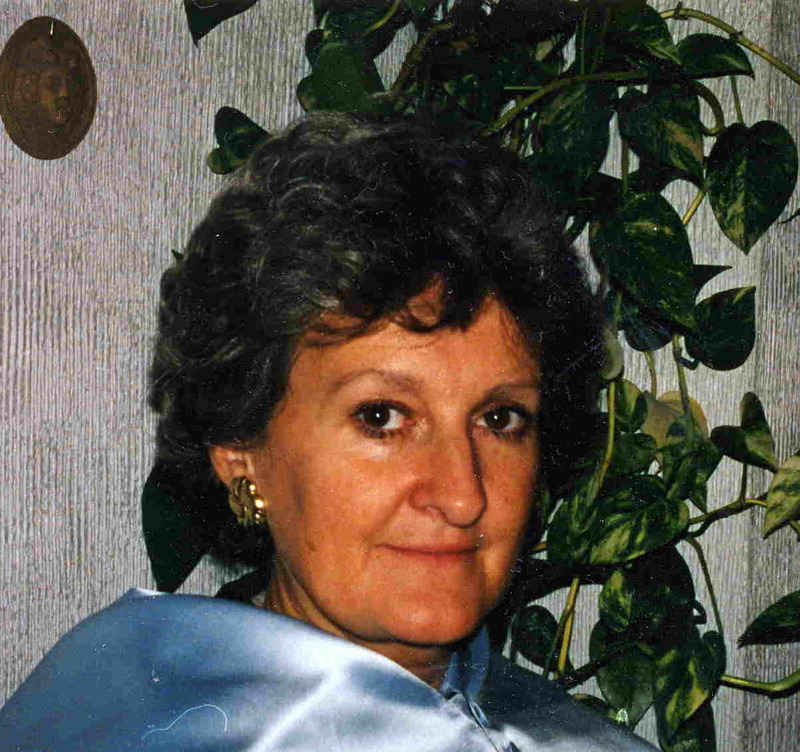 1992 The Amarna Letters. Maryland: Johns Hopkins University Press. 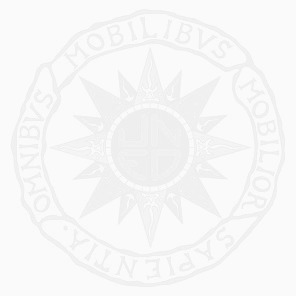 2000 Imperial Egypt and the Limits of Power. Pp. 101-111 in Cohen & Westbrook, eds., Amarna Diplomacy. Maryland: The Johns Hopkins University Press. A brief overview of the structure of the Egyptian empire. 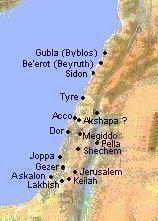 1992 Egypt, Canaan and Israel in Ancient Times. New Jersey: Princeton University Press. 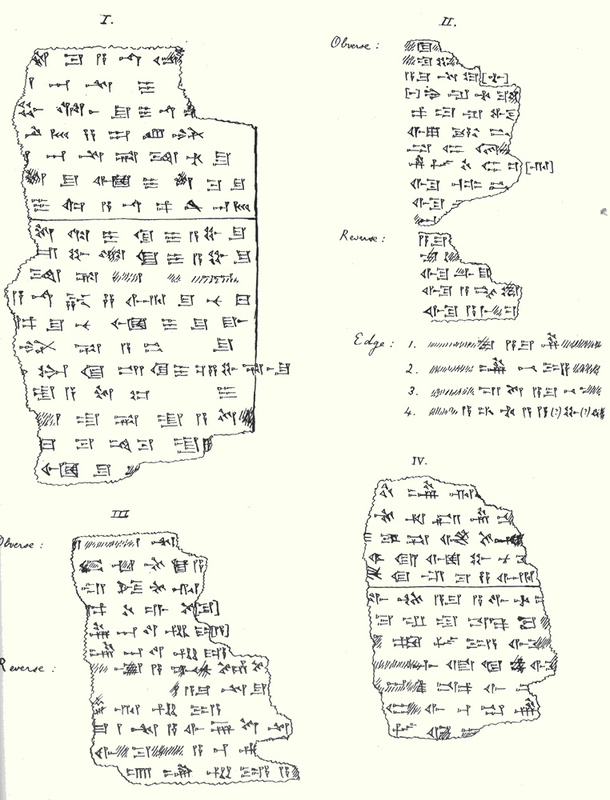 The Amarna letters, a unique corpus of documents from the Egyptian New Kingdom, were discovered in the late 1880s by Egyptian peasants (Moran 1992: xiii). As soon as their authenticity was confirmed and Egyptologists were able to evaluate their contents, it became clear that the stash of clay tablets represented one of the most important historical sources on the socio-political environment of the ancient Near East. The Amarna letters represent the diplomatic correspondence between the pharaohs of the Amarna period and their contemporaries in Canaan, Mesopotamia, Anatolia and the Aegean. The earliest of the letters date from late in the reign of Amenhotep III, and the latest date from the reign of Ay, spanning a period from c. 1386-1321 BCE (Moran 1992: xxxix). The majority of the letters date to the reign of Akhenaten, the monotheistic pharaoh. The Amarna letters provide an interesting picture of the ancient world at the crest of the Egyptian empire. At this time, the Near East was dominated by a group of "Great Kings" -- the Egyptian pharaoh, the king of Mitanni, the king of Babylonia, the king of Assyria, and the king of the Hittites. The Great Kings are represented in about 50 of the remaining letters (Cohen & Westbrook 2000: 6-7). Two independent states, not quite of Great King status, are also represented in the letters. One of these is Arzawa, and the other is Alashiya, generally identified with Cyprus (Cohen & Westbrook 2000: 7-8). There were also numerous city-states under the influence of the Great Kings. The rulers of these city-states were referred to as "mayors" by the Egyptians, and they essentially served as vassals to the Great Kings (Murnane 2000: 107). The correspondence between these vassals and the Egyptian king generally consists of requests for aid or affirmations of loyalty. It is in the vassal correspondence that the Sea Peoples appear most frequently. The Amarna letters provide the earliest historical evidence of the Sea Peoples. The ethnic groups now classified as Sea Peoples mentioned in the Amarna letters are the Shardana, the Danuna and the Lukka. The letters to be examined below come from three different authors: Rib-Hadda, Mayor of Gubla, Abi-Milku, Mayor of Tyre, and the King of Alashiya. A type of person referred to as "Shirdanu" appears in three of the extant letters, all of them from Rib-Hadda of Gubla (or Byblos). Moran (1992: 393) remarks that this term "probably has nothing to do with" the Shardana of later Egyptian texts. However, he makes no explanation of this statement. At any rate, based on the striking similarity in the form of the two words, it seems unwise to so casually disregard any possibility of a connection. EA 81 (Moran 1992: 150-151) is a plea from Rib-Hadda to the Egyptian pharaoh (probably Akhenaten) for aid in a dispute with 'Abdi-Ashirta, the ruler of Amurru and another vassal of the Egyptians. Rib-Hadda accuses his opponent of luring away his followers and inciting them to attack their own ruler. Rib-Hadda pleads with Akhenaten to send archers so that he can defend himself not only from 'Abdi-Ashirta and his defectors, but also from the increasingly unhappy peasantry. In this letter, Rib-Hadda states that a Shirdanu of his acquaintance has run away to join 'Abdi-Ashirta. The context of the remark suggests that the Shirdanu were perhaps some type of mercenary soldiers working for the vassals of Egypt. EA 122 and 123 (Moran 1992: 201-202) are two different versions of the same letter, so they need not be discussed separately. Again, as in EA 81, they concern Rib-Hadda's plea for aid against an attacker. This time the offender is the commissioner Pihura. 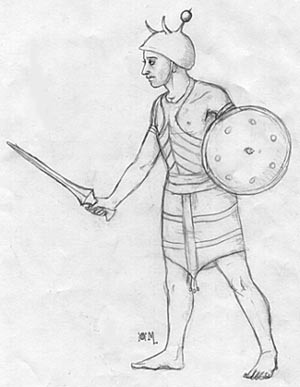 Pihura has captured three Canaanites and slain a number of Shirdanu. 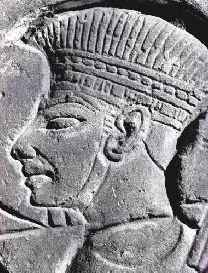 Rib-Hadda demands that Akhenaten help him protect himself and also return the three men that Pihura has brought as captives into Egypt. Again, the exact role of the Shirdanu is not clear, but it seems that they might have been acting in some military capacity. The Danuna appear in only one letter, EA 151 (Moran 1992: 238-239), written by Abi-Milku of Tyre. The letter contains a typical demand for aid against an attacker (Zimredda of Sidon). Abi-Milku then goes on to ask for wood and water, two resources for which Tyre depended on mainland Phoenicia. Finally, in response to a query from the pharaoh, Abi-Milku summarizes current events in Canaan. In this section of the letter, Abi-Milku states that "the king of Danuna has died" and has been peacefully succeeded by his brother. This letter suggests that the Danuna were a significant political entity, governed by a king who controlled a specific territory. He goes on to describe the destruction of the palace at Ugarit by fire -- an interesting historical reference to the numerous destructions that characterize the archaeological picture of the end of the Late Bronze Age. A group called the Lukki appears in a single letter from the unnamed king of Alashiya to an Amarna pharaoh (EA 38; Moran 1992: 111-112). Since only one side of the correspondence is preserved, it is difficult to evaluate the exact nature of the dispute between the two kings. However, apparently the Egyptian king has accused some Alashiyans of attacking Egyptian territory in cooperation with Lukki. The king of Alashiya defends himself by saying that "men of Lukki, year by year, seize villages in my own country." This fits in well with the later picture of the Sea Peoples as wandering raiders. The Amarna letters give us a valuable glimpse at the early history of the Sea Peoples. 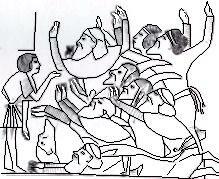 For the most part, the picture of the Sea Peoples in the Amarna letters is confirmed by later historical information. There is documentation from the time of Rameses II of the Shardana as mercenaries of the Egyptians, and the Lukka were later known for their piracy and fighting prowess (Redford 1992: 243). The reference to the Danuna is most interesting for the light it sheds on the people's social system before the end of the Bronze Age.